“What brings you to Switzerland?” a waiter, clad in a tuxedo and bowtie, asked as he made his way through the train car, serving stiff apertifs and delicate Swiss chocolates. 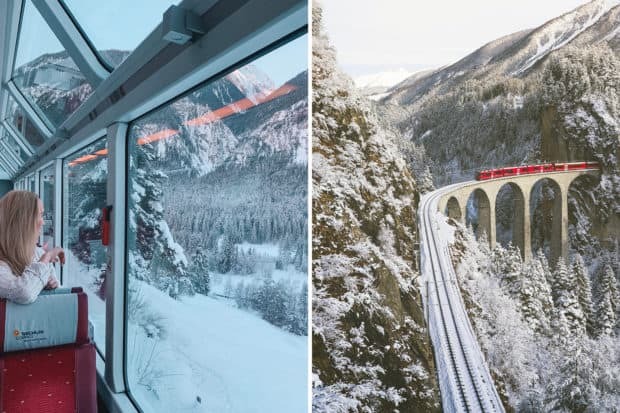 At 150 miles-an-hour, the wide-windowed Glacier Express glided through the snowy landscape, through covered bridges and tunnels, scaling glacial peaks with ease as we gawked at the dramatic valleys below. We both glanced outside as the train emerged from a covered bridge and soared over a forest of snow-covered evergreen trees. Isn’t it obvious? I thought. But this wasn’t the case. I knew the tiny European nation had much to offer—chocolate, castles, a plethora of cultures and an excess of Alpine charm. 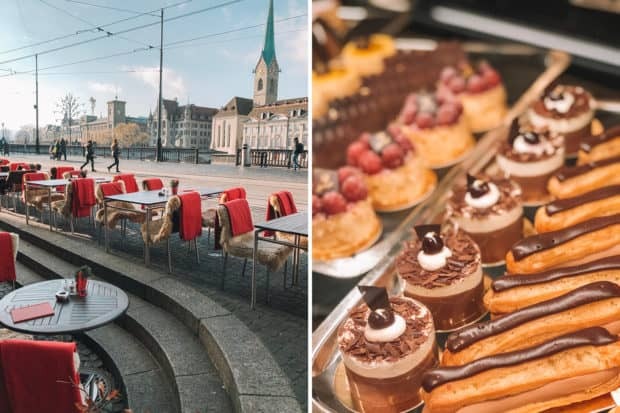 But traveling through Switzerland is like opening a menu at a fine restaurant; between gorgeous, cosmopolitan cities, great lakes and ski towns, it’s hard to know where to start. And it’s crucial to choose your route carefully. 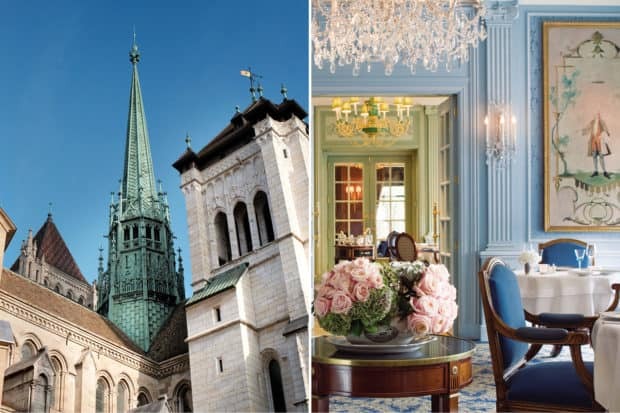 Read on for some of the very best this dazzling winter getaway has to offer, along with our picks of where to stay, eat and play in each locale. 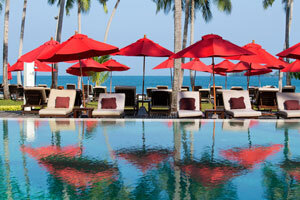 Contact Indagare for assistance planning a beach vacation. 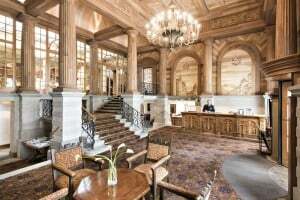 Our specialists can book you at the property that is right for you, plan seamless travel transfers and arrange great activities, meals and special experiences. 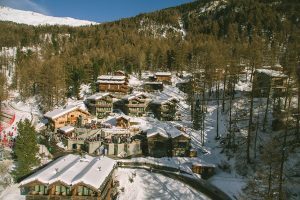 Where else in the world can you find fur-clad ski boots, billionaire chalets and aprés-ski huts that book reservations days in advance? 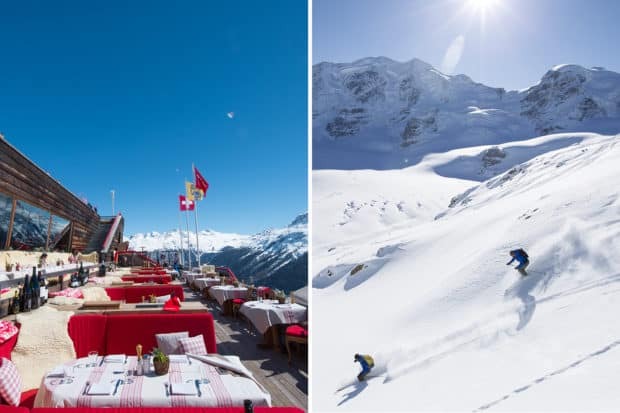 The answer is a few places, actually, as the dizzying array of European ski resorts—from Verbier to Mont Blanc, Val D’Isere to St. Anton—makes it nearly impossible to choose which place to ski fresh powder. 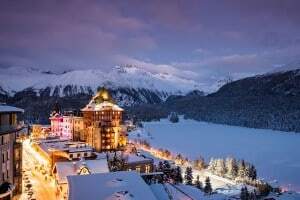 Many people know St. Moritz as the birthplace of winter tourism, which occurred some 150 years ago when the Brits began to frequent the Engadin Valley. 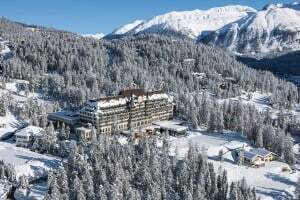 But the reason to go to St. Moritz is the fact that there is plenty to do for non-skiiers. 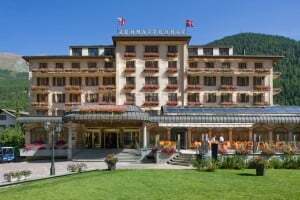 Beyond Michelin-starred and family-run restaurants, a stellar spa scene and grab bag of surrounding villages, St. Moritz is rising as an art-lovers’ destination with the addition of two noteworthy museums. Museum Susch opened earlier this year in a former medieval monastery and was impressively excavated to feature underground galleries with contemporary art installations and sculptures. The Segantini Museum is undergoing a renovation this year (reopening in December) and features the works of revered 19th-century painter Giovanni Segantini. This will surely be big news at the start of next winter’s season. 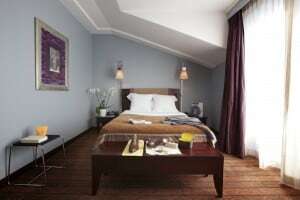 Stay… At the lavish grande dame Badrutt’s Palace or the exclusive, slightly removed Carlton. Visit… The tiny town of Zuoz, one of the Engadin Valley’s loveliest, with beautifully restored, painted buildings and cobblestone streets. 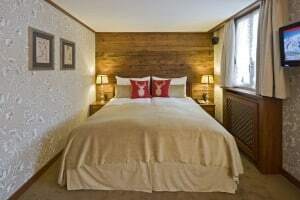 Located in the south of Switzerland directly across the Alps from Cervinia, Italy, Zermatt was originally a small farming community where locals would live in chalets for the summer months. Today, the car-free town holds true to its quaint routes thanks to its small size and location tucked within a valley. 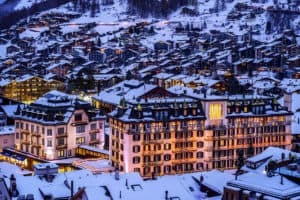 But Zermatt is far from cushy: the destination packs a punch with an unrivaled high-elevation experience—situated at 5k+ feet and surrounded by surrounded by thirty-eight 13,000 ft. peaks—with activities like high-adrenaline hiking, rock-climbing and mountain biking on offer in addition to skiing. 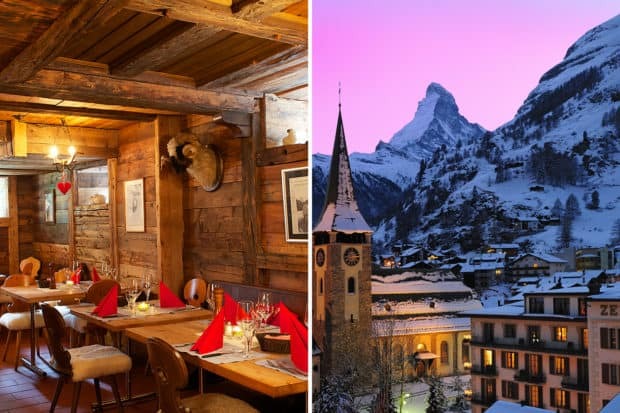 Spending time in Zermatt means living as the Swiss do with days on the slopes and nights indulging in fondue. History is a big part of this town as well, with a legacy shaped by Matterhorn-conquering explorers. 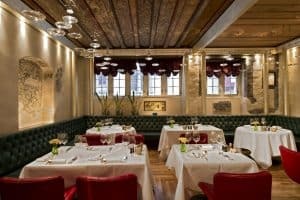 Many restaurants feature traditional, 19th-century ovens and dining rooms. 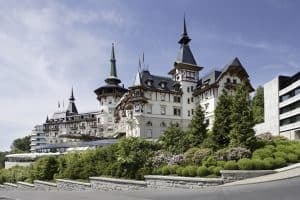 The concept of a ‘travel day’ is usually a waste en route to a further destination, but in Switzerland, a train ride through the Alps can be elevated to an exceptional experience. There is no better way to soak up the Alps’ beauty than on the Glacier Express, a fire engine-red train that gracefully winds through 150 miles of dramatic valleys, glacial peaks, evergreen forests and little villages, through 291 bridges and 91 tunnels. The Excellence Class is a smaller, more elegantly-designed car that guarantees passengers a window seat—not to mention a multi-course, Authentically Swiss meal punctuated by cocktails and treats served at the intimate bar. Contact us to reserve a seat on the Glacier Express. 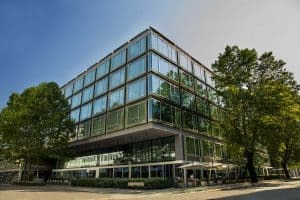 The largest city in Switzerland, Geneva is one of the world’s most global metropolises, hosting the highest number of international organizations in the world along with the headquarters of both the United Nations and the Red Cross. 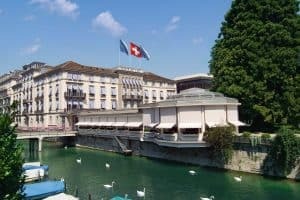 With a history dating back to the Protestant Reformation, Geneva’s Old Town is traditional in feel, with cozy, cobblestone streets and narrow alleyways and St. Peter’s Cathedral, which overlooks downtown (climb the 157 steps up the north tower for panoramic views.) Spend the morning exploring Old Town before visiting Carouge, a charming neighborhood comparable to New York’s West Village. 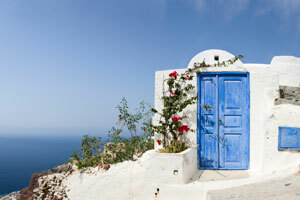 Nearly every storefront is occupied by a chic restaurant or boutique.